After spending the day discovering the Old West at Fort Worth Stockyards, retreat to a comfortable room with free Wi-Fi at the Country Inn & Suites, Fort Worth, TX. 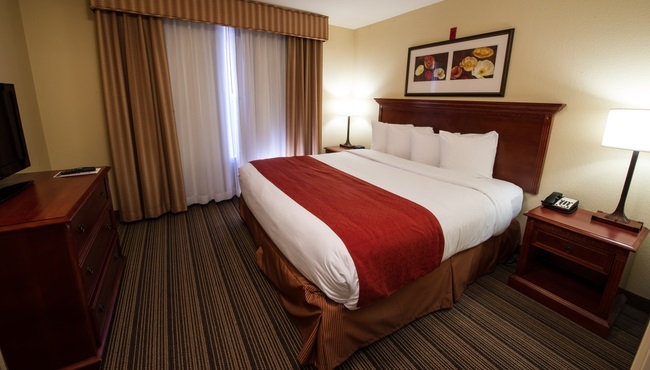 Convenient amenities like an in-room microwave, a refrigerator and a coffeemaker help you feel right at home. When your meetings are finished for the day, spend a relaxing evening in the wingback chair while you watch an HBO show on the 32-inch LCD TV. In the morning, you can research local attractions before heading down to our free, hot breakfast. 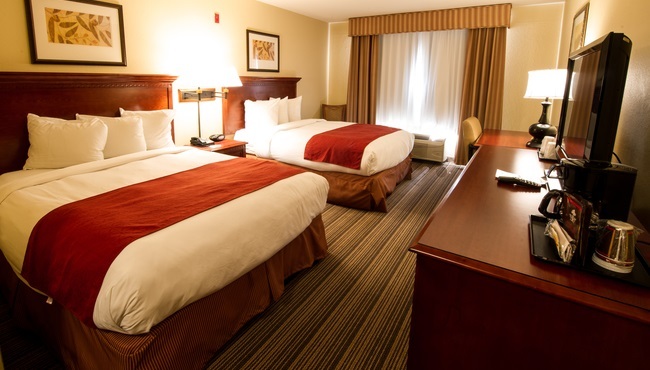 Our Standard Rooms provide a comfortable stay with two queen-size beds and all standard amenities. Give yourself a little extra room when you book a Studio Suite, featuring all standard amenities, two queen beds and a wet bar. Traveling with kids? Reserve a One-bedroom Suite to enjoy a separate living room that includes a full-size sleeper sofa, a 37-inch LCD TV and all standard amenities.